Are you going to test cards with Simulators? It would really be worth testing cards that might work well with Big Money like Dignitary, Harbor, Convoy etc. 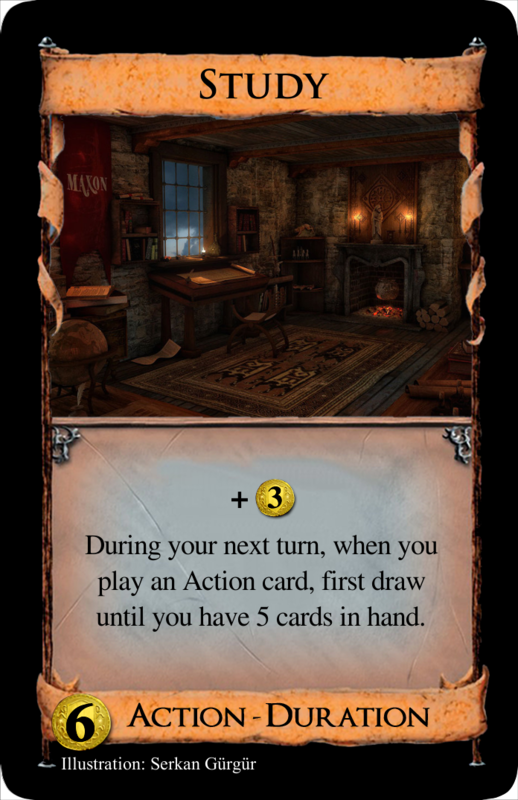 I also suspect that BM-Conclave might be one of the non terminals that works with BM (like Ironmonger and Magpie); even before you're using it to draw 3 cards you can pick the Treasure that helps you reach the price point you need. In fact quite a few cards that are good at helping you nail particular price points without excess (the aforementioned cards, as well as Fund) which is what makes coin tokens, BM-Gear and BM-Courtyard so strong. I've done some simulation testing on Enterprise (part of a bigger project that's currently on hiatus due to thesis), Dignitary-BM is very good, significantly better than Smithy-BM iirc. I don't remember about any of the other cards. Look through your discard pile. Choose one card from it and either trash it, or put it on your deck. Couple of games on Friday. They went well! I'm not sure whether Almoner's new name helped remind people that they could gain a Copper to hand, since I reminded them anyway every time I played one. One of the other players got some too, but it was late and I'm not sure they ever played one. The new Refurbish seems good. 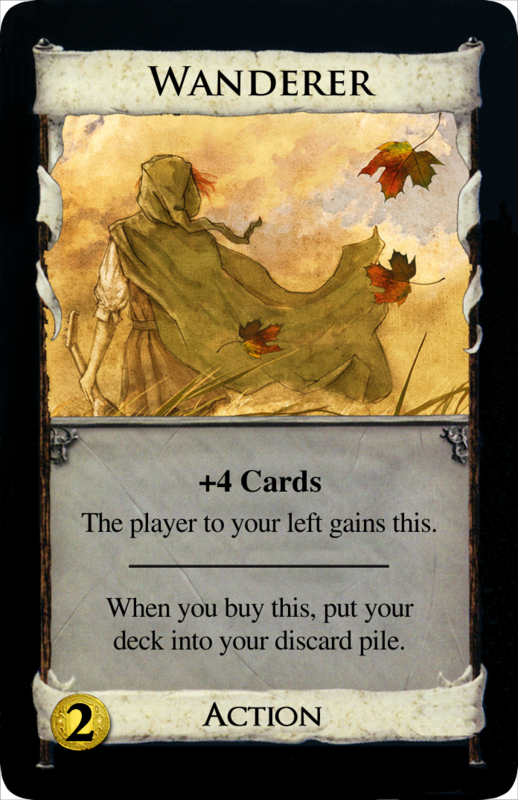 It's nice to have another +1 Buy card in the set. It looks strong to my players, but seems totally reasonable to me so far. All the other older stuff seems good, too. I got a few copies of good cards off of Stockpile, which was especially important with Wolf Den in the game. Is Refurbish good without an enabler? Delve would have been huge for it. The card strikes me as weak but if it's good in situations where it's supposed to be strong then it's a successful card. I'd like to see if BM-Refurbish works. While this is in play, Silver produces an extra $1. So it didn't have +1 Buy and the trashing and gaining were mandatory. I doubt this version does much better in a Big Money-Refurbish deck. Normally the enablers you want are things that increase your hand size, but gaining a ton of Silver (with e.g. Delve) can also work. Would something like This work as art for Study? Refurbish, as is, is a good card. Even just to change estates into silvers. Not great; but good enough. For the people who prefer this type of art. Games get really odd when we have 4 or more of them passing them back and forth. The one shot chancellor effect is is a cool idea but its not enough for me. I might try making a passing card too eventually, its a simple new idea with lots of space to work in. You may trash a card from your hand to gain a Silver. What you are missing is that you start with 7 Coppers and 0 Silvers. That means that if you buy a Coppersmith right away for , you already have 7 cards that it works on. It is pretty likely that the first time you play that Coppersmith, it will give you + or even + . Refurbish's Silver-boosting effect will take a while to be worth it. The first several times you play one, you probably aren't even going to get to play a Silver that turn. Man, I think I updated that recently and maybe forgot to post the newer version? I use my Imgur as a repository of images, and sometimes I clean house. Sorry about that. Anyway, I sort of considered this thread dead since I'm not really making or updating fan cards these days.